The organisation is looking to appoint a design team to start working on a new website in September. Transport for Greater Manchester is looking to redesign its website to create a “best in class” digital experience. The organisation is seeking a design consultancy to work on the new site, which will also cover the digital experience for its Metrolink service. TGM is a public body that co-ordinates public transport in the city, including the Metrolink tram system. TGM says it is looking to create a “best in class website with enhanced functionality, information and experience”. The organisation says it is looking to appoint a consultancy to start work on the new website by 1 September. In 2013 Transport for London, which administers public transport in the capital, redesigned its website – making its open data available for developers to use in their own software or services. The redesigned TfL site featured a number of new services, including a customisable status board for different routes and geo-location for mobile users. A number of consultancies, including Detica and We Are Experience, worked on the new TfL website. As a regular TfGM commuter I’m looking forward to this. The current site was fine when it was introduced but if we want what politicians call a ‘Northern Powerhouse’ then a new solution is needed. 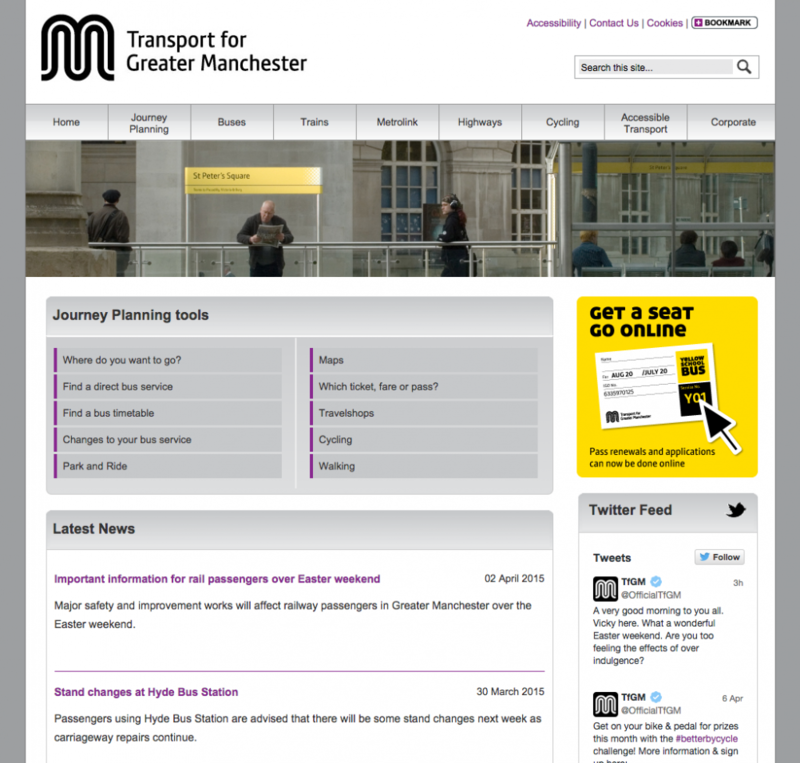 The beta.tfgm site is now accessible via the current tfgm site. I think they’ve been very brave with the design as it is a significant step forward for a transport site which typically play it safe. Bravo tfgm for taking design seriously!!! It’s encouraging that areas of the public sector are finally waking up to the importance of good design. Definitely a step in the right direction.